But that’s not true. That’s a lie which is usually told by men and women who want an excuse to avoid taking the claims of Christianity seriously. Perhaps they’re afraid that if they DO make the effort to examine Jesus and his teaching with an open mind, they might start to become believers themselves—which means they’d have to change the way they’re living. And that they don’t want to do! You can’t say it any more directly or any more clearly than that! What are your “motives of credibility” when it comes to Jesus’ resurrection? I can’t answer that question for you, but I can answer that question for me—and I will in this homily. This is not an exhaustive list, but it is a list of some of the most important and noteworthy reasons why I believe that Jesus Christ is risen, and alive—and with us. Well, I don’t know those things with absolute certainty. But I do know that, if you believe that the apostles did in fact fabricate the story, then you’re left with an even more difficult question: Why? Why would they have done it? What could possibly have been their motivation? It’s not as if they stood to make a lot of money by telling the story! There we no big “book deals” to be had from selling their story of the risen Jesus to a Jerusalem publishing house. There were no appearances on “60 Minutes” or “The Tonight Show” that they could look forward to! Quite oppositely, they knew very well that if they persisted in saying that Jesus of Nazareth had actually come back from the grave, then they would probably end up like Jesus ended up—DEAD! But that didn’t matter, did it? They preached the resurrection of Jesus with certitude and conviction, knowing full well that it would bring them intense suffering and perhaps even martyrdom. In other words, had the apostles known that the resurrection was a lie, they never would have died for it. So the witness of the apostles is one reason why I believe in the resurrection. A second reason (which you could say is a corollary to the first) is the change in the apostles themselves. Scripture is very clear about it: before the resurrection and the descent of the Holy Spirit, these men were cowardly, fearful, immature, and (to put it mildly) not very bright! But after they encountered the risen Christ—and after he returned to heaven and sent them the Holy Spirit at Pentecost—they were completely different: they were strong; they were fearless; they were emotionally and spiritually mature; and they were incredibly insightful! How do you explain the change? I explain it by saying that Jesus made them that way, because he was risen and alive and was operating in their lives! Those who don’t believe in the resurrection have to come up with another explanation. A third reason I believe in the resurrection is much more personal: it’s my own experience! I believe that I’ve experienced the presence of the risen Christ in my life many times and in many ways—especially (though not exclusively) in the difficult moments. I’m sure many of you here could—and would—make the very same claim. And isn’t that what we see? Look, for example, at how the world responded to the events that surrounded the resignation of Pope Benedict and the election of Pope Francis. C.S. Lewis said that Jesus, when he walked the face of this earth, inspired three reactions in people: hatred, terror and adoration. That is to say, people were either passionately for him or passionately against him. Almost nobody was lukewarm when name “Jesus of Nazareth” was mentioned in first century Palestine! And so it is with the Catholic Church today. Mention the Church in casual conversation with co-workers or friends or family members, and most of them will be either at one extreme or the other. Very few, if any, will have no opinion about the Church and her teaching. But that’s exactly what we should expect! The Church inspires great love, as Jesus did; and the Church inspires intense hatred, as Jesus did. And the Church inspires great interest, as Jesus did! I was in my car when Pope Francis got elected, and every one of the stations that I normally listen to had coverage of the event. Every one of them! I couldn’t have found any music even if I had wanted to! The next day the headline of the Providence Journal read, “Humble Pastor as Pope.” It was in huge, bold print—right above a picture of the Holy Father that took up half the page! Gee, I thought the Catholic Church was irrelevant, and didn’t matter! The people in the secular press and media are always telling us that the Church is out of date, behind the times, and needs to change her teaching before she disappears! Really? Well, if that’s actually the case, then why are they all so interested in what goes on in the Church? I don’t know about you, but personally I have no interest whatsoever in things that don’t matter—and I think most people feel the same way. So why are so many of those in the secular world obsessed with us? Which, of course, is exactly what Jesus would be if he were still walking on this planet among us! 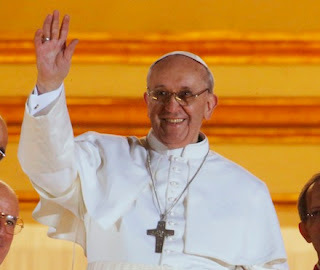 Even the terrible scandals involving bad priests in the last ten years testify to the connection between the Church today and the historical Jesus who is still alive and with us. The John Jay College for Criminal Justice estimated that about 4% of priests were engaged in this type of evil activity during a 42-year period. Well, lest we forget, out of the first twelve priests, one turned out to be an incredibly evil man: a thief and a traitor. Mathematically speaking, this means that Jesus lost 8% of his first group of priests (one out of twelve is roughly 8%), so the failure of 4% today shouldn’t surprise us all that much. But neither should the great sanctity and charity present in other members of the Church—priests and laity alike! Is it a coincidence that the Catholic Church is the largest private, charitable organization in the world (as Bill O’Reilly reminded Jay Leno the other night on Leno’s TV program)? No, it’s not a coincidence—at least it’s not a coincidence if you believe that the risen Christ lives and acts through the Church! Is it a coincidence that committed, serious, devout Catholics like John Paul II and Mother Teresa of Calcutta are among the best and most loving people in human history? Once again, it’s not a coincidence if you believe that Jesus Christ is risen and alive and is living in the hearts of holy people in his Church in our generation! It’s good for us to gather today—as we should every Sunday—to renew our faith in the Lord’s resurrection. But our world today demands more than simple belief! It also demands holiness; and it demands that we have reasons—good, rational reasons—for believing the things that we say we believe. You’ve just heard some of mine. The very first Holy Week was a period of time when changes took place in many different people: some of the changes were good, and some of them were not-so-good. 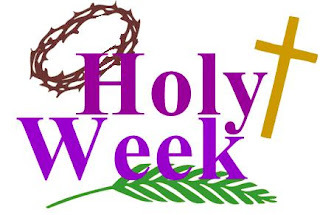 On Monday, Tuesday and Wednesday we will have morning Mass as usual at 7am; on Thursday, Friday and Saturday we will have morning prayer at the normal Mass times. The Easter Triduum begins with the Mass of the Lord’s Supper on Thursday evening at 7pm, followed by adoration of the Blessed Sacrament in the church hall until 11pm (a time for us to remember the Lord’s agony in the Garden of Gethsemane). On Friday we will have Stations of the Cross twice: once outside at noon (specifically designed for young people and families); then, at 3pm, here in church. The celebration of the Lord’s Passion will take place on Friday evening at 7; and the first Mass of Easter—the glorious celebration of the Easter Vigil—will be held at 7:30pm on Saturday night. Well, based on what I’ve said in past homilies, you know that I absolutely love Les Miserables, the movie that came out this past Christmas, and which won 3 Oscars a few weeks ago. I love it almost as much as I love the musical version of the story, which I have been blessed to see several times. Both the film and the musical, of course, are based on Victor Hugo’s novel of the same name. Well, given the fact that in so many cases the book is truly better than the movie, I made the decision recently to get Les Mis for my Kindle, and read it. And I did. Well, at least I’ve begun to read it. I’ve only begun because Les Miserables is not what you would call, “a quick read”! It’s almost 1,500 pages long, small print! Victor Hugo was obviously a man who LOVED to write—and write—and write! What most people would say in 10 words, he says in 110 words—or more! All I can say is: Be glad you have me for your pastor and not him! If he were your priest, you’d be here for 3 hours every Sunday (or Saturday night as the case might be). Now don’t get me wrong, I’m really enjoying the book so far (I’m about a third of the way through it). I just wish some of his descriptions of things were shorter and a little less detailed. With one very notable exception, namely, his account of Jean Valjean’s battle with his conscience—the battle he had at a crucial point after his conversion. True to form, Hugo goes on describing the details of this battle—this internal struggle of Jean Valjean—for many, many pages. But in this case I’m glad he did that, because the length of the description makes a very important point. The point is that sometimes doing the right thing isn’t easy—it’s a big struggle—even if your conscience is guiding you properly and helping you to see what you should do! Let me now give you a brief synopsis of what Valjean was struggling with . . .
At the beginning of the story (which takes place in early 19th century France) Valjean is paroled, after spending 19 years in prison for stealing a loaf of bread. He comes out of prison a bitter man, but he experiences a genuine conversion with the help of a saintly bishop. He then breaks his parole, assumes a new identity, and begins to live a very holy, charitable life. He moves to another town where nobody knows him; he starts a business that provides jobs for many needy people there, and is incredibly generous with his money. In fact, he’s eventually elected mayor because people love him so much. But then one day he hears that a man called “Jean Valjean”—an ex-convict who broke his parole many years earlier—is set to go on trial in a distant city the following day. Valjean, of course, knows that this is a case of mistaken identity: he knows that he’s the guy they’re looking for! This man they have in custody is innocent. Well, in the novel (as I said a few moments ago), the struggle is recounted over many, many pages—because it was so deep and so intense. 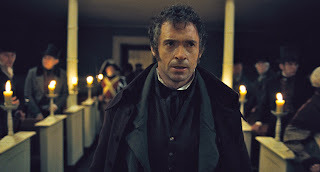 Valjean, for example, paces the floor the whole night before the trial, going back and forth in his thoughts. Deep down inside knows that he should go and reveal himself to the court, but another voice in his head is giving him all the reasons he should just stay at home and let the other guy get condemned: The people of this town need me; they count on my leadership. Children look up to me; how can I let them down? I’m providing for the families of the people who work in my factory; I’m helping poor souls who will probably die without all my charitable gifts. Even after he decides to go to the courthouse, he struggles; even as he enters the courtroom itself, the battle rages on inside him. Conscience. 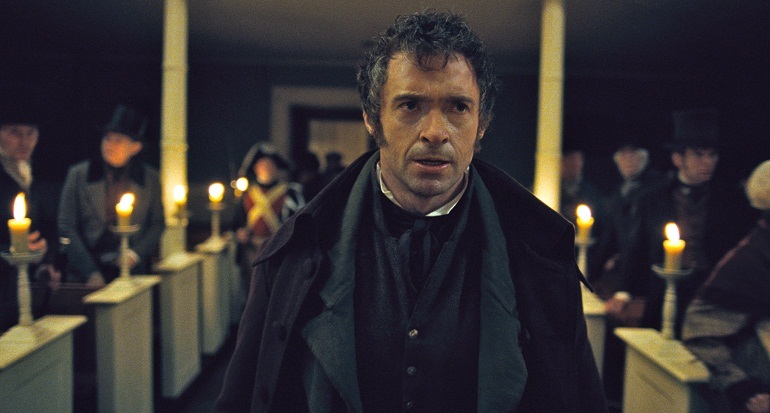 Jean Valjean had formed his well—that’s why he knew the right thing to do. But a conscience needs to be followed after it’s formed! And that’s where it can be very difficult. Just ask Jean Valjean. I usually don’t give the enemies of Jesus in the gospels credit for much, but I will say something positive today about the scribes and the Pharisees that we hear about in this story of the woman caught in the act of adultery. These men had not formed their consciences as well as Jean Valjean had formed his, but they had formed them well enough to recognize some of their sins—perhaps because Jesus was writing them in the sand! Now they could have ignored what their consciences were telling them and gone on to stone the woman anyway! But, to their credit, they all did listen to their consciences—and to the challenge of Jesus—and they walked away. I mention this today because many Catholics and other Christians in the modern world use “conscience” as an excuse for doing what they feel like doing or what they want to do, rather than seeing it as a summons to do what they ought to do! Well, it’s important for us to remember that our consciences will guide us properly ONLY if they are formed properly! Jean Valjean’s conscience was telling him, “It’s wrong for you to allow that innocent man to go to jail for the rest of his life!” because Valjean had formed his conscience based on the Ten Commandments and the Golden Rule. His conscience was guiding him properly because it was formed properly. The consciences of the scribes and Pharisees were telling them, “You’d better not throw any stones at this woman,” because their consciences had been formed properly to the point where these men were at least able to recognize some of their own sins. They were blind, unfortunately, to their hatred of Jesus (which was also a sin—a very big sin! ), but they were clear about some other things. I encourage you to read, in the near future, what the Catechism teaches about conscience, since there’s so much confusion and misinformation out there concerning this subject. It all begins in paragraph 1776 (which should be easy to remember, since that’s year the Declaration of Independence was signed!). From paragraph 1778: Conscience is a judgment of reason whereby the human person recognizes the moral quality of a concrete act that he is going to perform, is in the process of performing, or has already completed. From paragraph 1799: Faced with a moral choice, conscience can make either a right judgment in accordance with reason and the divine law or, on the contrary, an erroneous judgment that departs from them. From paragraph 1783: Conscience must be informed and moral judgment enlightened. A well-formed conscience is upright and truthful. And, finally, from paragraph 1784: The education of the conscience is a lifelong task. Let me conclude now with a final word on Jean Valjean, since I left him a few moments ago in the midst of a terrible conscience crisis. He did the right thing! That’s the bottom line: He did the right thing. He went to the courthouse and revealed himself to be the real Jean Valjean. That, I won’t tell you. To find out, you’ll have to read the book. Or, if you don’t have either the time or the desire to read a 1,500 page novel, just go to see the Oscar winning movie starring Hugh Jackman and Anne Hathaway. That will only take 2 ½ hours of your time, but, I guarantee you, it will be 2 ½ hours well-spent! 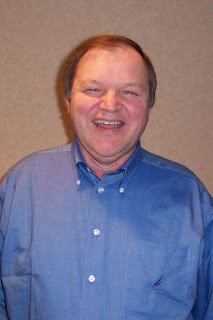 On March 15, we were blessed to have Frank Kelly with us for a special Mass, talk, and healing service. Frank shared his story of how the Lord spared his life when he was electrocuted at work, and how God called him to his present ministry of healing and evangelization. Click on the links below to listen to Frank's witness talk, and to the homily I gave at the Mass that evening. Well that’s certainly the way it was for the prodigal son. This boy learned a lot—about himself, about his family, and about life in general—through the experiences that he had between the time he left home with his inheritance and the time he returned home without it. He learned, first of all, that no sins are unforgivable! And that was a crucial lesson for him to learn, because I don’t think he believed his sins could be forgiven! Now that’s somewhat understandable, because in leaving as he did, he knew that he had decisively cut himself off from his father and from his family. Notice that the passage says that this boy took “all his belongings.” He took them all because he never intended to go back! And that’s why his dad said he was “dead”. 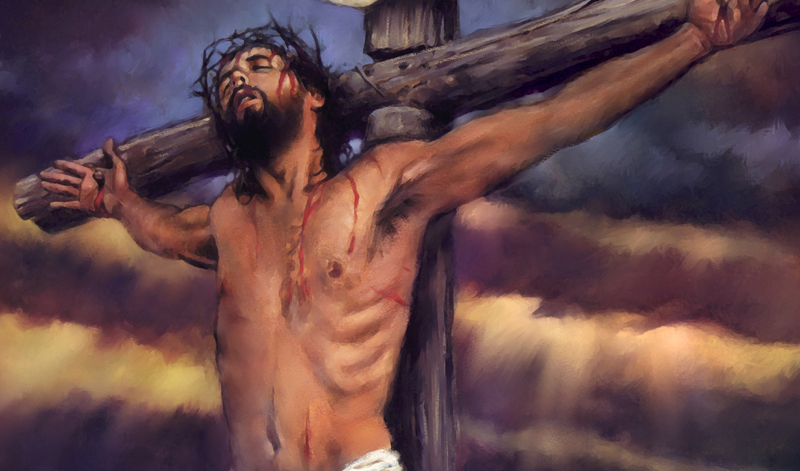 He wasn’t physically dead; he was spiritually dead! The prodigal son didn’t think he could be forgiven for his many mortal sins; he just hoped that he could be “tolerated” by his father for what he had done. But he soon learned that his father’s mercy was greater than all the evils he had committed. Hopefully we learn that very same lesson every time we go to Confession. On that note, when was the last time you went? Thankfully, there’s still time to go during this season of Lent. Well that’s precisely what we do in Confession, is it not? We go to our heavenly Father, through the priest, and verbally acknowledge the evil we have done, as well as the good we have failed to do (in other words, our sins of commission and our sins of omission). The father, thankfully, ignored that last remark and welcomed his wayward son home. By showing sincere repentance and acknowledging his sin, the prodigal son gave his dad a reason—a great reason—not to give him what he deserved. Which, as we heard a few moments ago, greatly upset his older brother! 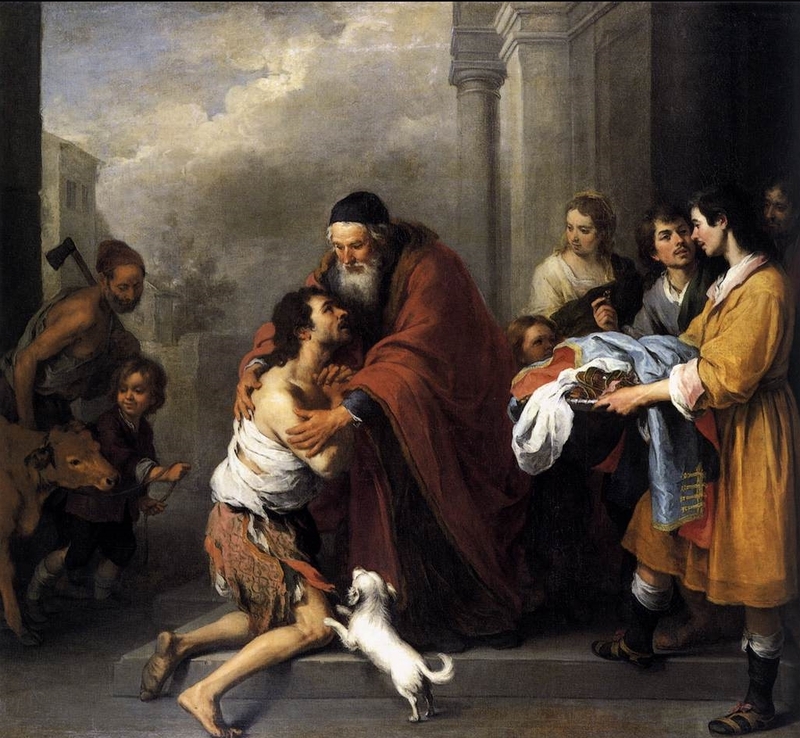 I find it very interesting, the father in this story (who obviously represents God the Father) looks for a reason not to give his prodigal son what he deserves, whereas it’s pretty clear that the older boy wants to see his prodigal brother get exactly what he deserves (and perhaps a little extra as well!). That fact says a lot about the difference between God and us. I think most people, in similar circumstances, would feel like that older son felt. In addition to all the lessons he learned about repentance, mercy and forgiveness, the prodigal son also learned a few other things. For example, he learned, through his experience, that sometimes suffering can be a blessing in disguise! Think about it: if he had not spent all that time with Porky Pig and his friends in that filthy pig sty, he probably would never have re-established his relationship with his dad! In all likelihood, the two would have remained disconnected for the rest of their lives. But his suffering woke him up, and motivated him to go back to his father in a spirit of sincere repentance. And that was a great blessing. I encourage you to try to think of that the next time you experience a terrible suffering in your life: it can be the source of some very special graces. THE PRODIGAL SON also learned to be grateful. He learned to be grateful for the many blessings he had enjoyed in his father’s house—blessings that he had obviously taken for granted earlier in his life. In fact, that’s one of the reasons he left his dad in the first place: he didn’t realize he had it so good! SO OBVIOUSLY HE ALSO LEARNED THE IMPORTANCE OF FAMILY; HE LEARNED THAT PEOPLE ARE MORE IMPORTANT THAN THINGS; HE LEARNED THAT HE COULD NOW CHANGE HIS LIFE AND BECOME A HOLY AND MERCIFUL PERSON (he learned that from the great example of his dad); AND HE LEARNED ABOUT THE DESTRUCTIVE POWER OF PRIDE AND ANGER (he received that lesson, unfortunately, from the very bad example of his older brother). Of course, it’s one thing to learn all this from your past experience; it’s quite another thing to apply it in the present moment for the sake of your future! I pray today that the prodigal son did both: that he learned these lessons by his experience of sin and repentance, and that he then allowed these lessons to have a positive impact on him for the rest of his life. If he did, then he certainly became a saint—and in that he becomes a great example for all of us to try to follow.